A true friend of the Adirondacks and especially Transfiguration Church. to provide hospitality, healing, hope and attention to the needs of our Adirondack community. ​the first Sunday in June through the last Sunday in September each year. Please check our "Service Schedule" for times, events and celebrants. 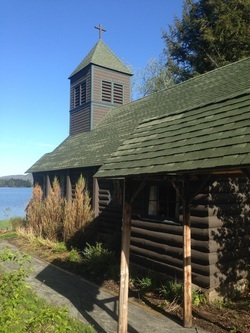 If you would like to support the work of Transfiguration Church in the central Adirondacks, please check out our "Ministries and Outreach" page!